The Minnesota State Patrol provides the opportunity for specialties throughout the organization. Some of these assignments include: Crash Reconstruction, Commercial Vehicle Inspectors, Vehicle Crimes Unit, District Investigators, Drug Recognition Expert, Flight Section, K9, Field Training Officers and numerous other positions. These of course are in addition to the training experts that we have: Commercial Vehicle, Computer, Defensive Tactics, Emergency Vehicle Operations Course, Firearms, First Aid, Taser, and Vehicle Contacts. 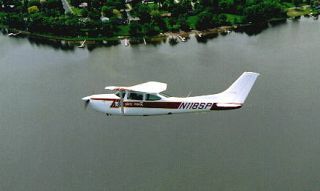 In 1957, twenty-eight years after the Minnesota State Patrol was formed, the State Patrol created the Aviation Section. The Aviation Section began with two Super Cub fixed wing airplanes. Their primary function was to fly over the many miles of Minnesota’s trunk highway system and observe traffic violations. These aircraft proved to be a great asset to the State Patrol as the pilots searched for motorists violating traffic laws such as speeding, stop sign, and passing in no passing zones. As time went by the State Patrol aircraft was called upon to assist in other types of flights, such as emergency blood transports for the Red Cross, aerial photography and searches for law enforcement. Due to the many requests from various police agencies for airborne assistance, the State Patrol saw the need for a helicopter. The State Patrol did obtain a military surplus Bell 47 helicopter in 1969. The helicopter could be flown lower and slower and proved much more effective in aerial searches than the fixed wing aircraft and taking aerial photos of crime scenes. At the same time this was taking place, the State Patrol was moving ahead with speed detection as more radar units were provided to the troopers on the road. Aircraft was still relied on to assist with traffic enforcement. There were, and still are today, difficult portions of roadway to work with radar or any other speed detection equipment. In working these areas the aircraft is still the preferred method by the road troopers to work speed enforcement. Because the pilot in the aircraft does the clocking of a speeding vehicle, the pilot merely requests the trooper on the ground to make the stop of the vehicle committing the violation and issue the citation. The radar detector, a device used by motorists to detect police radar, has become very popular over the years. The aircraft has been very useful to combat the speeding vehicle equipped with a radar detector. The State Patrol Aviation section continued to receive requests to assist local police and sheriff’s departments. Equipment was added to the helicopter to accommodate these missions such as a search light, rescue basket, and Forward Looking Infrared (FLIR). All of this extra equipment has helped the State Patrol Aviation section to provide better service to the law enforcement community and the citizens of Minnesota. In recent times the State Patrol has furnished each road trooper with a radar unit. The troopers are less dependent on the aircraft for speed enforcement. But, the need for the aircraft continues to be a valuable asset. The pilots in the State Patrol Aviation section fly approximately 60% traffic enforcement. The remainder of the time is divided among various requests from local, county, state and federal agencies. The Minnesota State Patrol Aviation section is the only agency that can provide aircraft assistance on a daily basis for these types of missions whether it be to clock speeders, search for a lost child, search for a criminal suspect, or aerial surveillance for a narcotics investigation, the members of the State Patrol Aviation Section continue to provide a very valuable service in Minnesota. 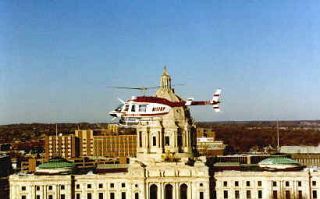 The Minnesota State Patrol Aviation unit often referred to as the “Air Wing” of the State Patrol. 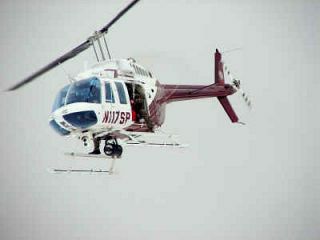 Annually the State Patrol aircraft is involved in many search and rescue operations. Missions that the State Patrol aircraft may be used for include search for a drowning victim, a stolen vehicle, lost person, aerial photos of a crime scene and aerial surveillance. The State Patrol Aviation section has been very efficient and often indispensable in assisting law enforcement in Minnesota. The helicopters are equipped to work with a rescue basket attached to a 50-foot line. This basket can hold one person and can be lowered into an area where it is not possible to land the helicopter. All three helicopters have a powerful searchlight that is 30 million-candle power. The searchlight is capable of lighting up an area the size of a football field. This high tech equipment gives the State Patrol the ability to search at night. The FLIR consists of an imager mounted on the belly of the helicopter and a monitor in the cockpit. The imager senses differences in temperatures. A picture of what the infrared views is seen on the monitor in the cockpit. The infrared equipment can see many things in the dark that are invisible to the naked eye The State Patrol’s FLIR is often requested by law enforcement agencies statewide and has assisted law enforcement in western Wisconsin. The Minnesota State Patrol K-9’s are mostly Belgian Malinois which many people believe resembles they resemble a smaller version of a typical German Shepherd. The unit also uses a Laborador Retriever and a Hungarian Vizsla. Their smaller size fits their assignment well and allows them to access and sniff an area as small as the trunk of a passenger vehicle. 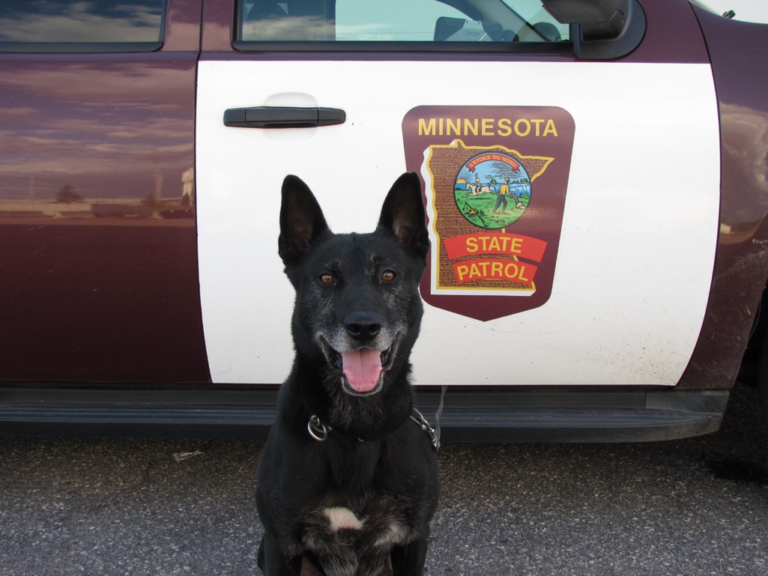 The Minnesota State Patrol’s Canine Program has a rich history of success due to the past and present handler’s hard work, dedication and the Agencies support and commitment to the program. The Program has seen much change in the last couple years with canine and handler retirements and the addition of new canines and handlers hitting the highways and State Capitol grounds. Two Troopers are responsible for the selection and training of both the canines and handlers. Currently the MSP Canine Program trains and maintains Drug Detection Canine Teams and trained one explosive Detection Canine, all of which are utilized around the state. 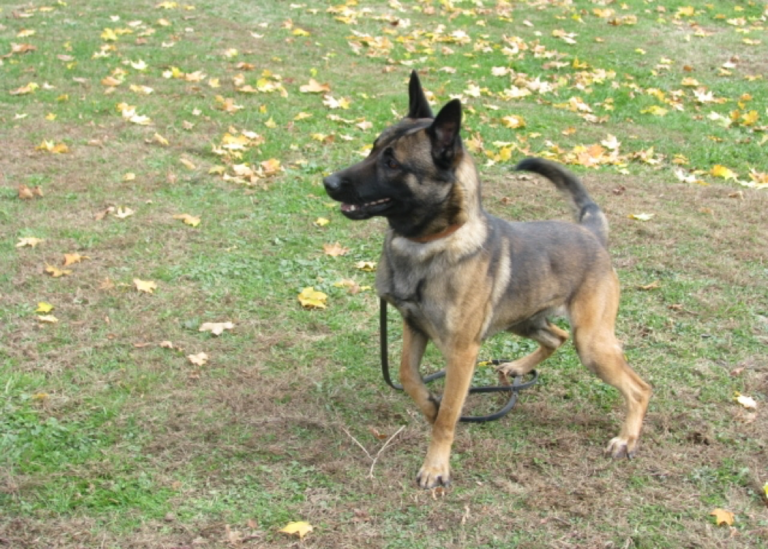 The MSP K-9’s are not trained in other typical police functions such as apprehension or tracking. The dogs live with their State Trooper handlers’ families. The Minnesota State Patrol K-9’s are mostly Belgian Malinois which many people believe resembles they resemble a smaller version of a typical German Shepherd. The unit also uses a Laborador Retriever and a Hungarian Vizsla. Their smaller size fits their assignment well and allows them to access and sniff an area as small as the trunk of a passenger vehicle. Troopers and their K-9 partners meet as a group for two days of training each month, and handlers perform maintenance training throughout the month. This regular training is imperative for both the dog and handler to maintain their high level of performance.